you’re probably wondering if regular ol’ Amy has been abducted + replaced by a new, improved, healthier Amy. i mean, two healthy, non-dessert recipes in a row? i assure you – it’s still the same Amy behind the screen! i was just so pleasantly surprised with the great response that my healthified whole wheat applesauce oat muffins got that i decided to throw another healthy snack your way. so today, i present to you: a truly amazing smoothie, full of delicious flavor + a ton of great nutrition. when i first saw this recipe, i was intrigued, but a bit nervous to try it. uncooked oats? in a smoothie? i decided to take a chance, + give it a try. let me tell you – i’m soooo glad i did. the oats add a fabulous subtle oat flavor + great body to the smoothie – they blend down completely, so you still get a traditional smooth texture, with the added benefit of the nutrition from the oats. the sweetness of the raspberries + honey, the creamy tartness of the yogurt, + the lightness of the coconut water all work wonderfully together. of all the smoothies I’ve made at home, this is truly my favorite so far. score another point for snacks that are both healthy AND delicious! 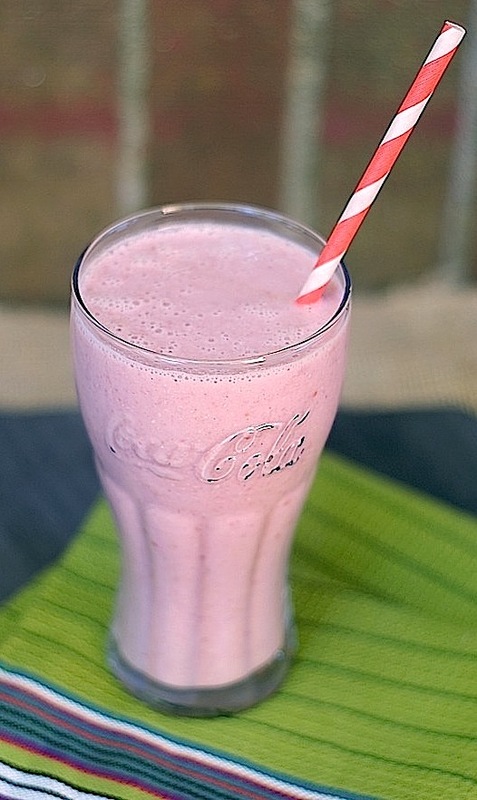 place ice + raspberries in the bottom of blender, + all other ingredients on top. blend until completely smooth. serve. definitely no weird texture from the oats – my basic blender purees them completely, so they just add body without any weird texture. you gotta try it – it’s my new favorite smoothie for sure! amy this sounds so delicious and perfect for the hot summer days & love the coke glass! I seriously have the same (damn) smoothie every morning! I think I need to shake things up with this. Honey and rolled oats sounds very interesting! 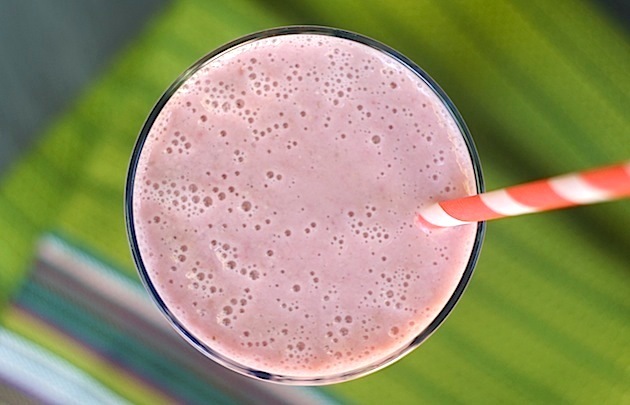 Love the sound of this smoothie with oats and coconut water.